I was watching Twitter more than the actual Super Bowl, so I was privy to many of the hot takes over there post Pepsi Zero No-Calorie Zero Sugar 100% No Fun Halftime Show. People were upset that Lady Gaga hadn't overtly sent a giant middle finger (metaphorical or actual) in the direction of our current president, Steve Bannon. She didn't mention the current administration or any of the many, many executive orders he's had his monkey sign since taking office on January 20. What she did was subtle. ("Lady Gaga SUBTLE?" you say.) Yup. 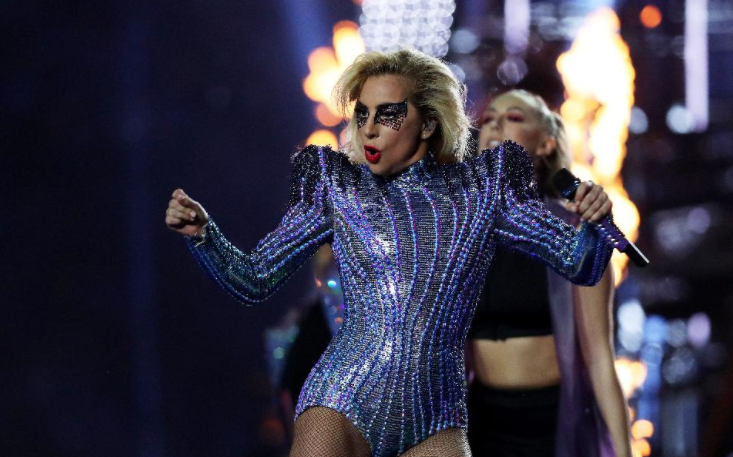 She kicked off the set singing, USO-style, a bunch of rah-rah America songs before launching (literally) into her hit "Born This Way," an anthem for the LGBTQA+ community, an anthem for anyone who's ever been labeled "different." For eight years we were sold a bill of goods that the Kenyan usurper was going to steal our guns and give our jobs to all the illegals and...other things, probably. Hindsight is 20/20, and that didn't happen. Now we're facing a president (Hi, Steve!) who is actually testing the limits of executive power. He wants to upend the entire system. He wants to burn it to the ground. He wants war and destruction...because...reasons? Lady Gaga got up on stage last night and sang (beautifully) a litany of pro-America songs for all of us. Those of us who are watching the games for the commercials, who were born possessing some characteristic that the current administration finds undesirable, for those who maybe voted for Bannon and are starting to feel uncomfortable. We are taking the country back and we're doing it in sparkly leotards.